One of the most memorable moments in Sabres History, 11 years ago today. Game 5, Sabres and Rangers. Jay Moran had already announced, “last minute in regulation time” over the PA. The Sabres were down by a goal. “The Drury Goal” made for one of the my most memorable moments in covering sports. I was in HSBC Arena covering the game, but I didn’t get to see the goal live. Reporters have to be down in the dressing room/interview room area when the game ends, so we start leaving the pressbox and getting on the elevators with a few minutes left in regulation. Especially for a playoff game, there are maybe 30 people crammed onto a cargo elevator with a little TV in the corner with the game on. I happened to be jammed next to two of the Rangers players who were scratched from the lineup. As the elevator very slowly groaned down the five or six levels, I was close enough to hear them talk about their plans for visiting with friends and family during the next round of the playoffs. The win was about to put the Rangers up 3-2 in the series, with the teams heading to New York City for Game 6. When Drury scored that goal, the elevator shook with the rest of the building. 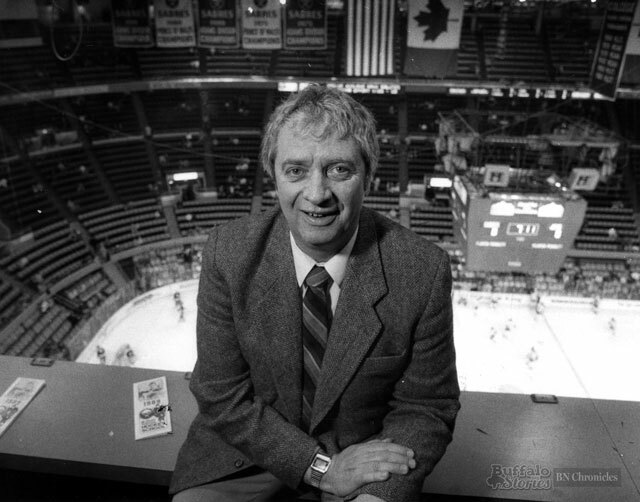 There’s no cheering in the pressbox, but there was an audible bleat of excitement as Jeanneret’s amazing mindless call blared out of the tinny speaker on the tiny TV in the corner of the elevator. 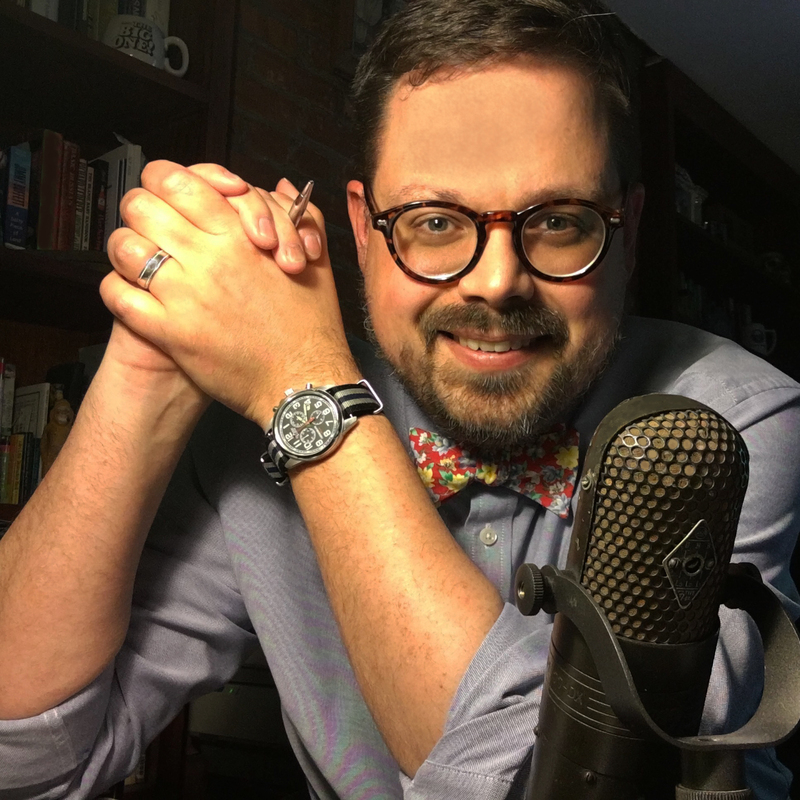 The only noise that wasn’t excitement came from the foot of that New York Rangers player, whose body pressed up against mine when he made the motion to backwards kick the wall of the elevator with his heel– leaving a dent that was there at least through the following season. That little dent made me smile every time I saw it. The Rangers didn’t make it to the next round of the playoffs. One of my favorite moments in 20 years of covering sports. With the world’s finest 18-year-old hockey players descending on Buffalo last month for the NHL Entry Draft at First Niagara Center, hockey fans here remain excited about the potential of the players drafted by the Sabres. If the Sabres top picks of 2016 turn into the level of players drafted by the Sabres in 1972, fans will be plenty happy. 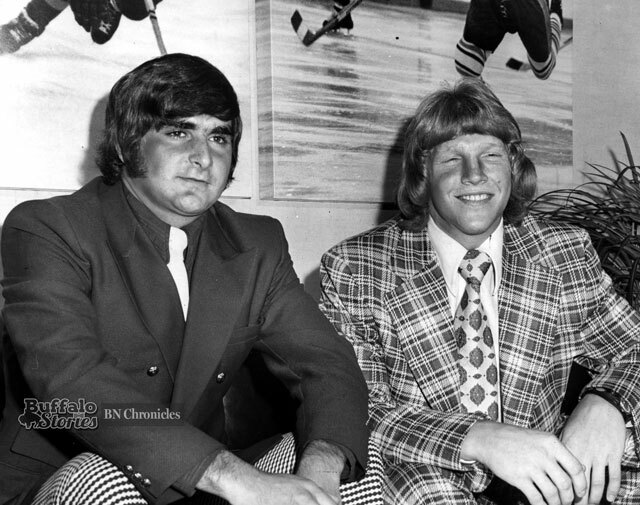 The August, 1972 photo shows defensemen Larry Carriere and Jim Schoenfeld—the Sabres top two draft picks—in Buffalo to sign their contracts. Schony was a 200-pound lefty who played junior hockey for the Niagara Falls Flyers with 20 goals and 29 assists. He was the fifth pick overall in the 1972 draft. Larry Carriere was the 25th overall pick, and started the season with Buffalo’s AHL farm club, the Cincinnati Swords. His NHL break came when fellow defensemen Schoenfeld and Mike Robitaille went down with injuries and he was called up to the big club. He was with the Sabres through the 1975 Stanley Cup season, but Carriere was traded to the Atlanta Flames. He returned to the Sabres for seven games in 1978, but after a two-game stint with the Leafs in 1980, his playing days were over. Carriere returned to the Sabres again, this time in the front office. 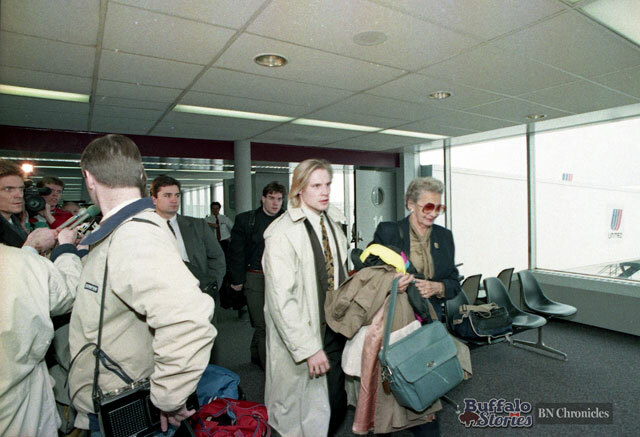 He started as a scout, and worked his way up to Assistant General Manager under Darcy Regier. Though he still lives in Buffalo, he holds that same Assistant GM title in Montreal with the Canadiens. 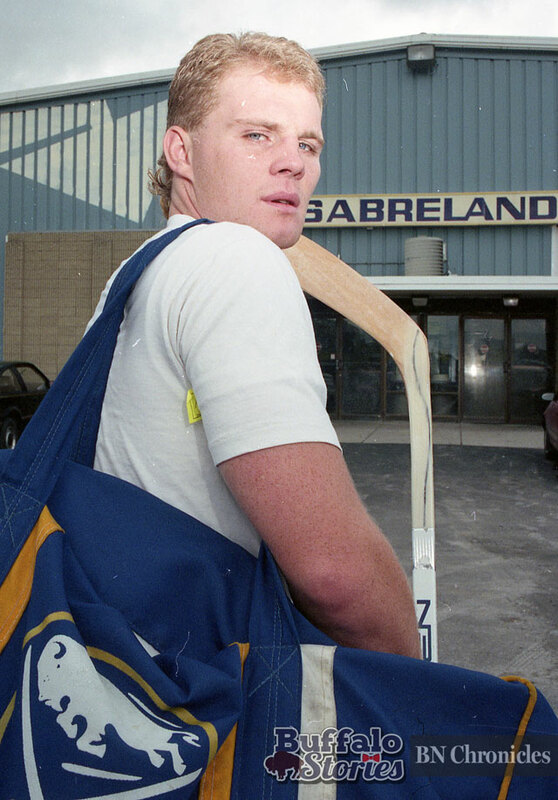 Rob Ray’s story in Buffalo began with scoring his first NHL goal on his first NHL shot, after being called up from the Amerks in 1989. 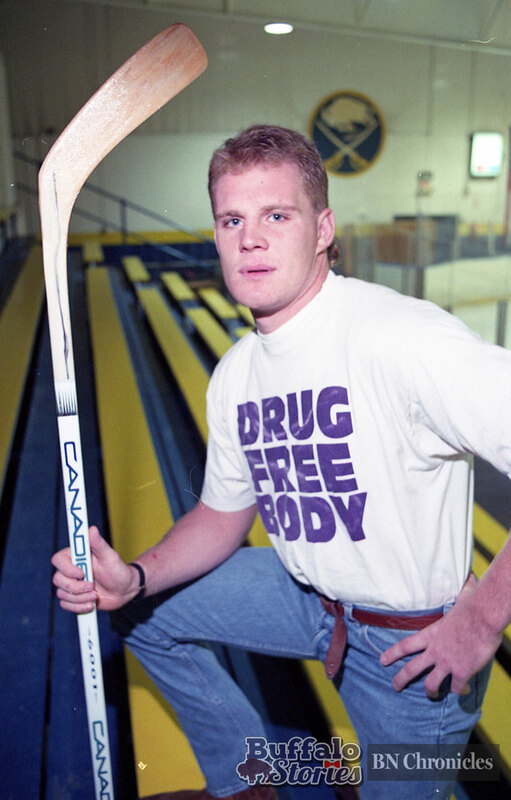 As a hockey player, man and volunteer in the community, tavern owner, and broadcaster — Rob Ray has been a Buffalo favorite for parts of four decades now. 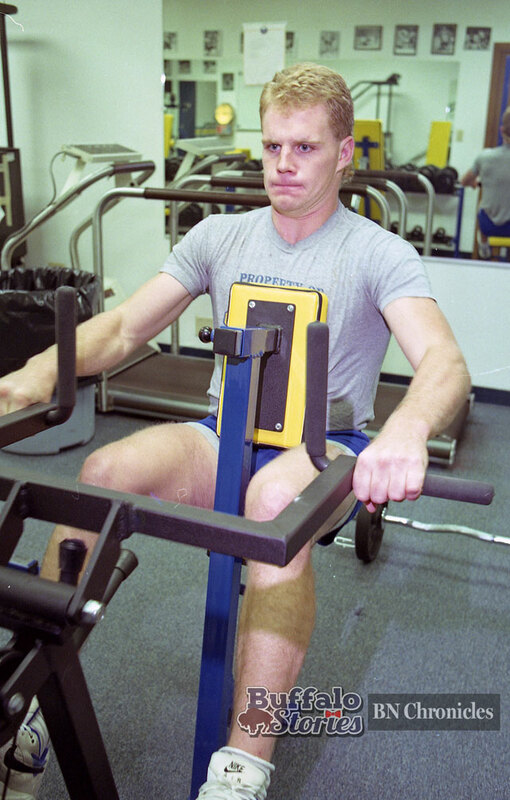 With knowing what he has meant to the Sabres and the community over the last 27 years, it’s difficult to remember the young player headed into his second full season with the Sabres — which he was when News Photographer Ron Moscati took these photos of Ray working out at Sabreland, the Sabres’ old practice facility in Wheatfield. The previous season, Ray shattered the Sabres’ previous all-time penalty minute tally. He also led the NHL with 348 penalty minutes — 59 two-minute minors, 26 five-minute majors, eight 10-minute misconducts and two game misconducts. Both Dudley and Ray talked about work ethic. It came naturally for Ray, who watched his dad run his own farm machinery dealership in Stirling, Ontario. “He’s there every day and he’s working on the machines, he’s fixing tractors. He’s not a guy that stands around and tells everybody what to do,” said the younger Ray. He was already a fan favorite after only 92 games, possibly, wrote Northrup, the most popular player on the team. Perhaps it was because he knew his role that year and for the next decade. “I don’t think there’s as much pressure on me doing what I have to do as there is on a guy like Pierre (Turgeon) going out there and having to score goals every night. If he doesn’t score a goal, he’s not doing his job. 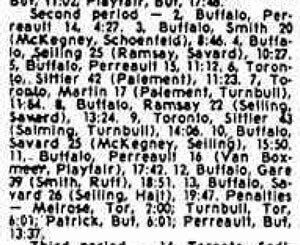 Long before the Buffalo Sabres were known for not making the playoffs, the club was known for first round exits. 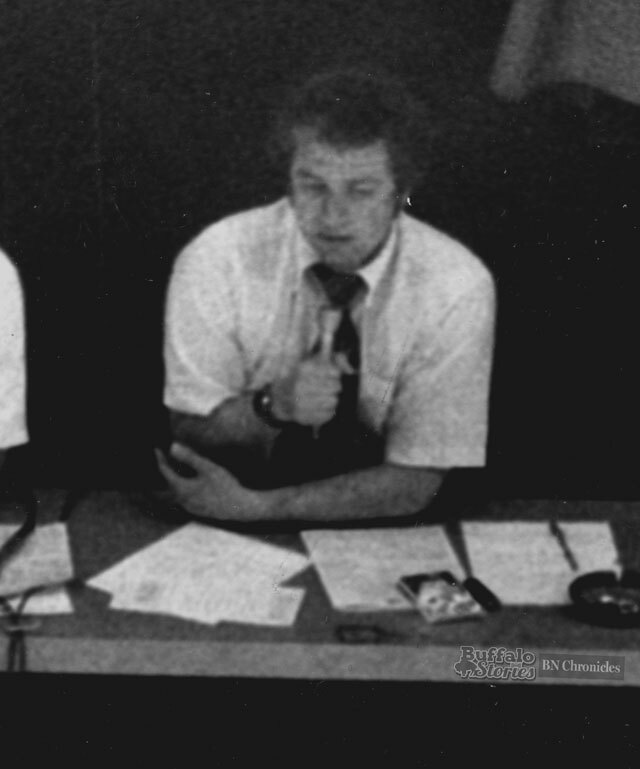 During the 1991-92 season, Head Coach Rick Dudley was fired and John Muckler was brought in. Despite a losing record, he led the Sabres to a first round playoff series against the Boston Bruins. The team showed grit in making the playoffs, and again in that series with the Bruins. 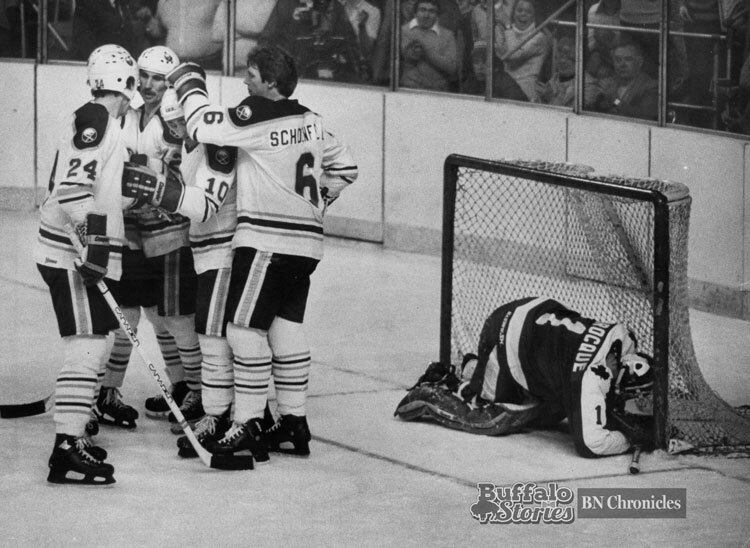 Down 3-1, the Sabres fought back to even the series at three before losing Game 7 at Boston Garden. 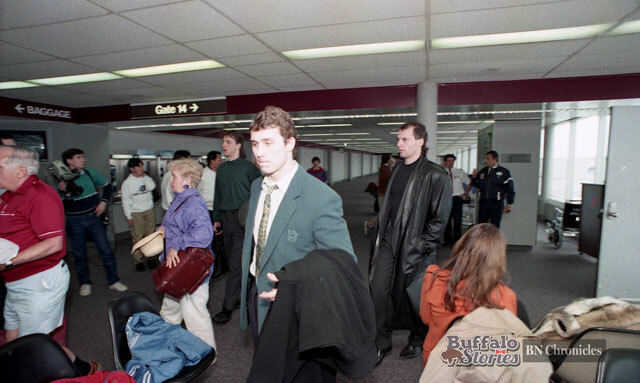 When the team returned home the next day, players and coaches were met by the media right inside the terminal of the old Buffalo Airport, before the days of heightened airport security and the wide open spaces that make up the current terminal, opened in 1997. Alexander Mogilny had no goals in two games against the Bruins. He flew home with the team despite his long publicized fear of flying. The following season, Mogilny scored 76 goals, tying Teemu Selanne for the league lead. His colorful way and hockey know-how helped solidify the young Buffalo Sabres as an institution in Western New York. 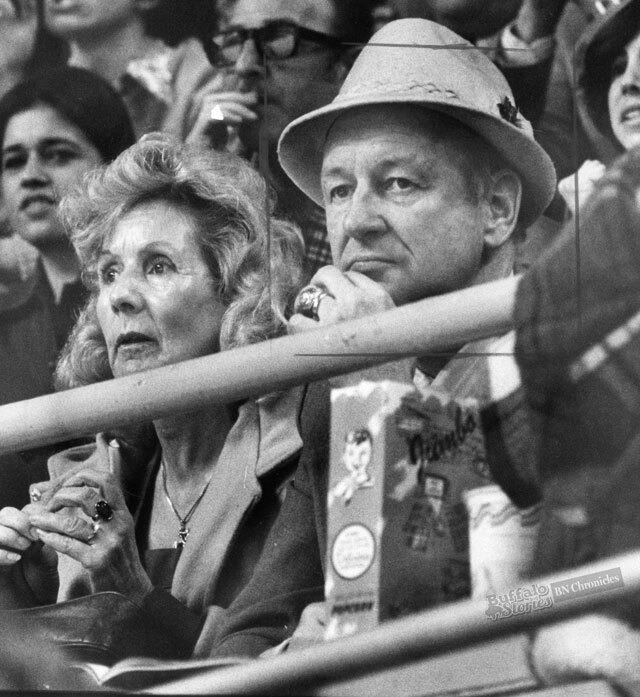 But even among non-hockey fans, Punch Imlach’s legacy has crept into the morning routines of tens of thousands of Buffalonians. It came to pass when Imlach was hired to manage and coach the Sabres two years later, he took out full page ads in the Toronto Telegram with the words, “Remember Me? I am in Buffalo now. Come over and see me!” next to a photo of the unmistakable hockey legend with his trademark white Canadian beaver hat. 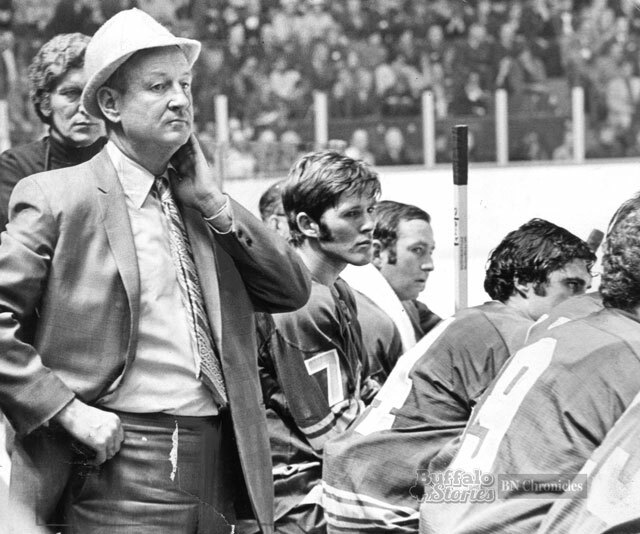 Imlach was the first coach of the Sabres, pictured here behind the bench with a young Richard Martin looking on. 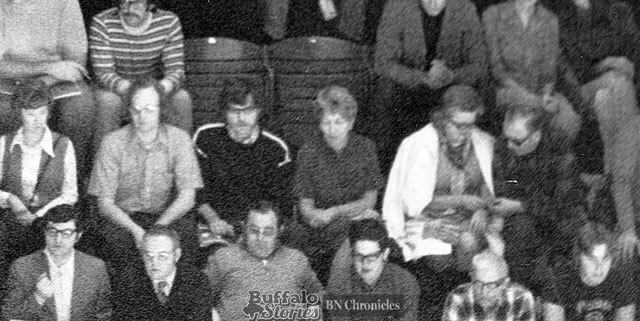 Punch was also the Sabres’ first general manager, and when health concerns forced him to give up coaching, he and his hat moved up to the Aud’s prime seats in the golds next to his wife Dodo. It was Imlach’s tenacity and temerity that brought Gilbert Perreault to the Sabres. After it was announced that Vancouver had won the first pick of the 1970 NHL Draft, Punch stopped NHL Commissioner Clarence Campbell dead in his tracks as asked him to check the giant roulette wheel again — the Sabres had actually won. He was a tough, old-school coach, which many of his tough, old-school players loved. When the Leafs fired Imlach, one of his star players — a 20-year veteran defenseman — vowed he’d follow Punch. 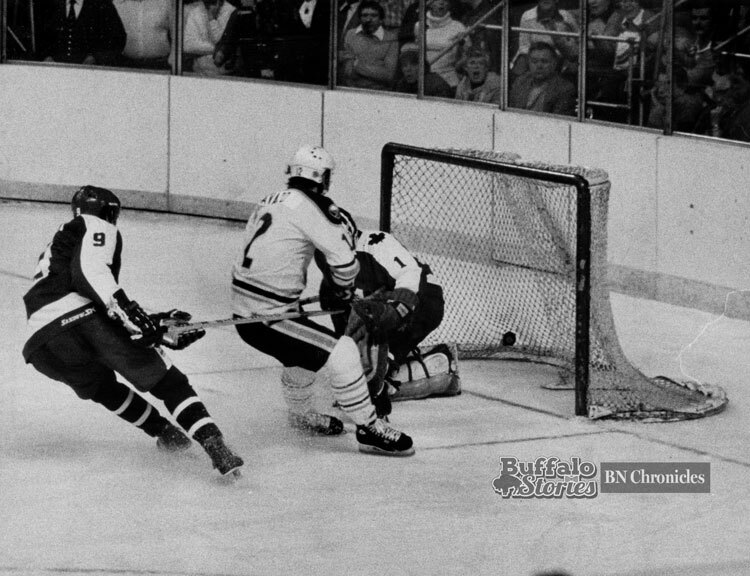 It took a few years, but Tim Horton — who was still known for his solid play on the blue line more than his solid cup of coffee — came to play for his beloved Imlach in Buffalo in 1972. 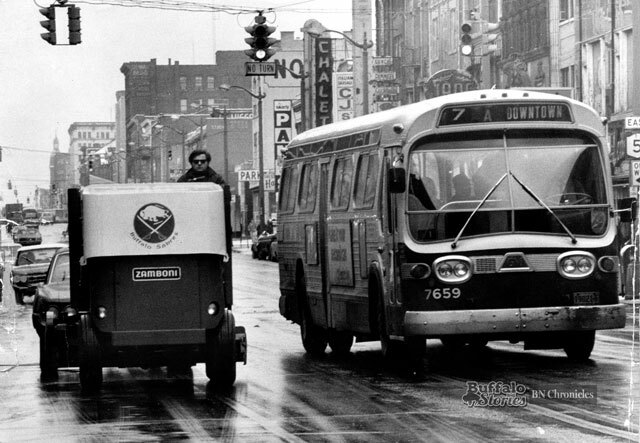 Horton died in a one-car crash, speeding back to Buffalo after playing in Toronto in 1974. 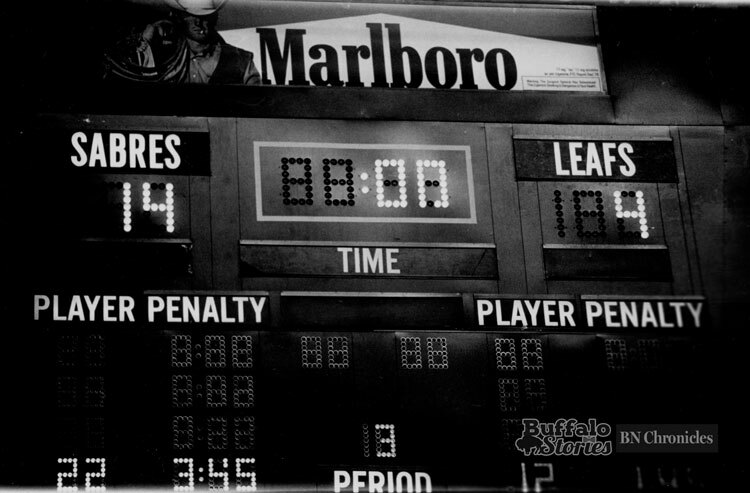 Horton’s time playing in Buffalo was brief — but likely wouldn’t have happened at all without Imlach. At the time of his death, Horton co-owned 40 doughnut shops across Canada. There’s little doubt that Horton’s popularity as a player here led to the first U.S. Tim Horton’s store to be built at the corner of Niagara Falls Boulevard and Ridge Lea Road just south of I-290, a decade after his death in 1984. It was Punch who brought Horton, and Buffalo’s love of the defenseman — which was the kindling in the raging inferno of love Buffalo has for double-doubles, ice caps and crullers. 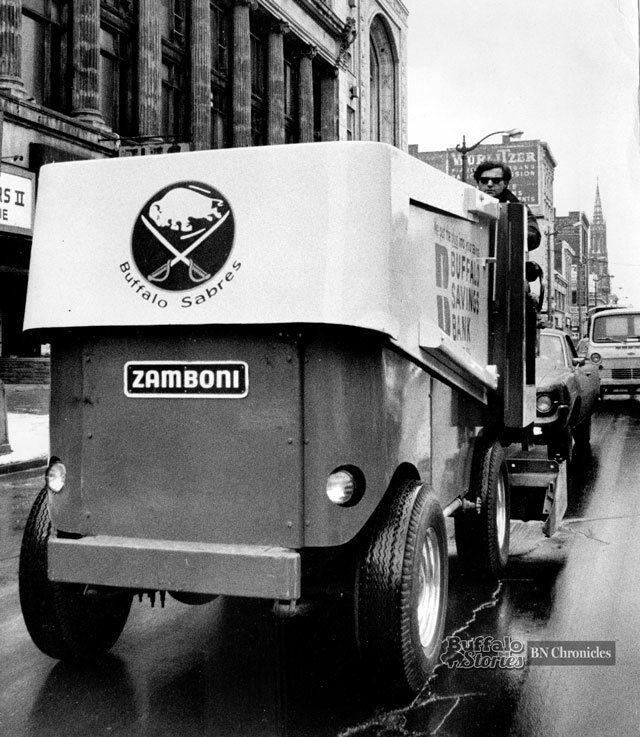 The Buffalo Sabres were a new franchise in 1970. When training camp opened in September 1970, fans were getting the first good “action shots” of their team in the uniforms Sabres players would wear, mostly unchanged, until 1997. 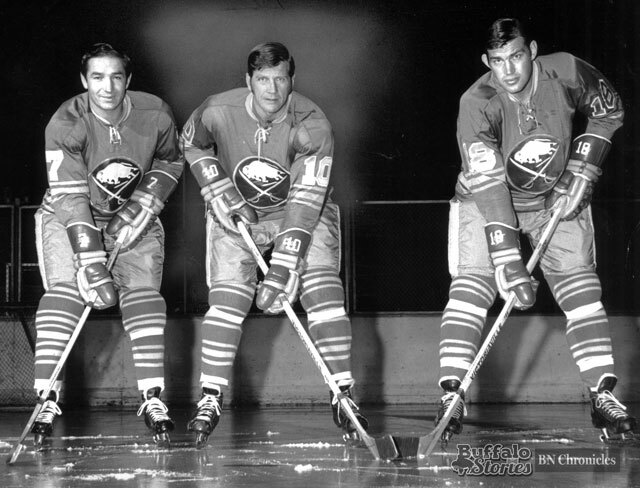 Can you name these Sabres? On the left, No. 7 is Cliff Schmautz. He played 26 games with the Sabres in 1970-71 before being traded to the Flyers. He also played for the AHL Buffalo Bisons from 1961 to 1964, where he scored 41 goals over parts of three seasons. Phil Goyette, No. 10, was a member of four straight Montreal Canadiens Stanley Cup-winning teams in the ’50s and ’60s. When the New York Rangers left the past Lady Byng Award winner exposed in the expansion draft, he became an original Sabre. 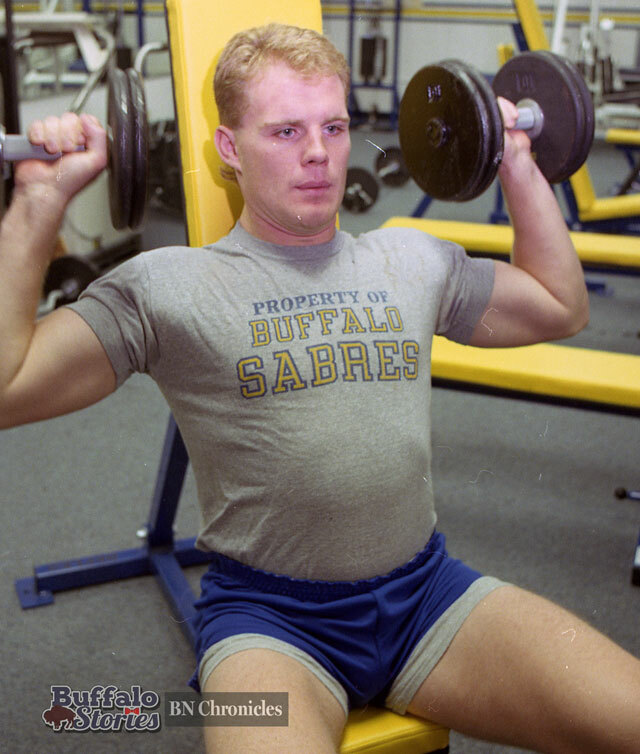 He played most of the Sabres’ first two seasons here before being traded back to the Rangers. The third guy, No. 18, is a bit more of a mystery. 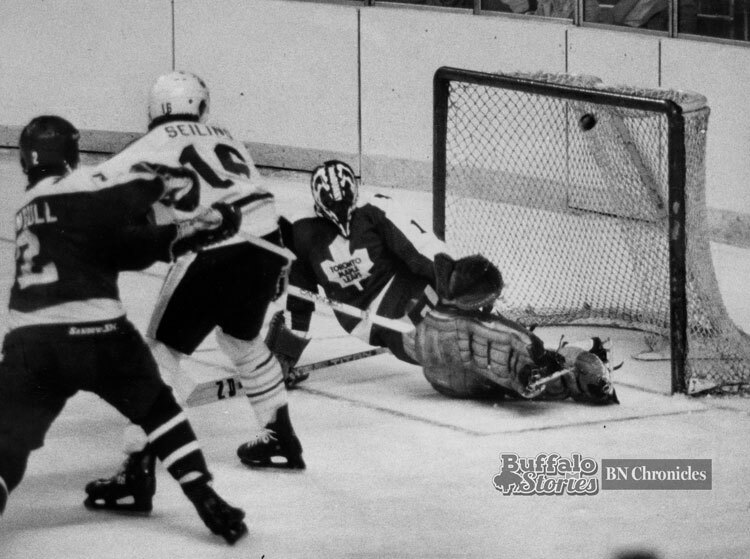 It’s not Kevin O’Shea, who wore that number for the Sabres during the regular season in 1970-71. Nor is it Brian Perry, another member of the 1970-71 Sabres, whose name is stamped on the stick. 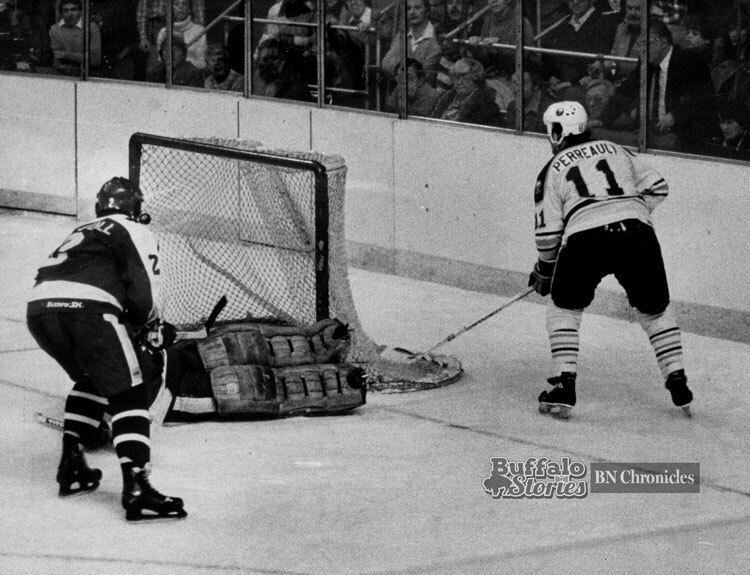 As hockey season gets underway in Buffalo, inevitably someone will wax poetic about the great old days of watching the Sabres at Memorial Auditorium. While the memories might be sweet, the modern hockey fan might not last even one period without complaint. 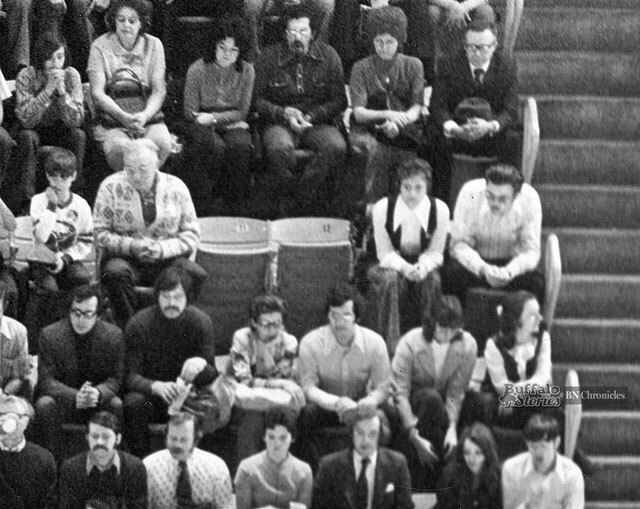 This 1973 photo shows the extreme pitch of seats in the Orange section of the Aud as compared to the grade in the Upper Blue section just below. Even the most thrilling fights on the ice were often outmatched by the hundreds of people fighting vertigo after standing up too quickly from their perch in the Orange section after a beer or three. The photo also shows one of The Aud’s features which even the most nostalgic fan has a hard time recalling with warmth. 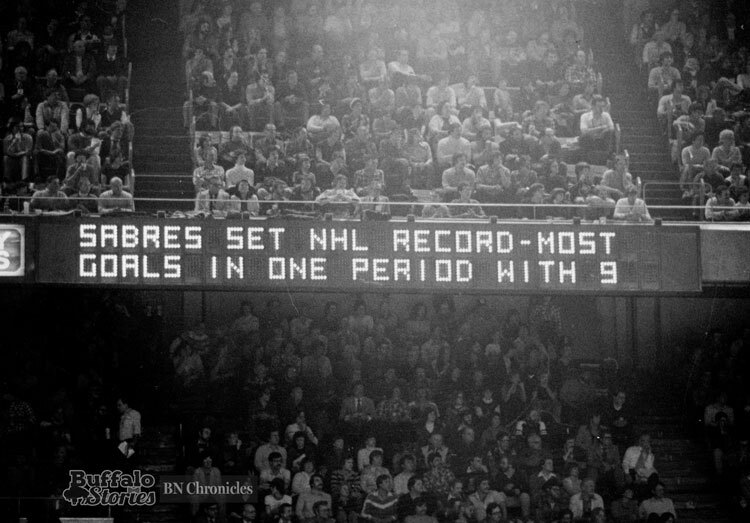 Look at the legs underneath the lighted sign, and remember the obstructed Upper Blue seats, from which fans watched a good portion of the hockey action on ancient television sets dangling from the underside of the Oranges. 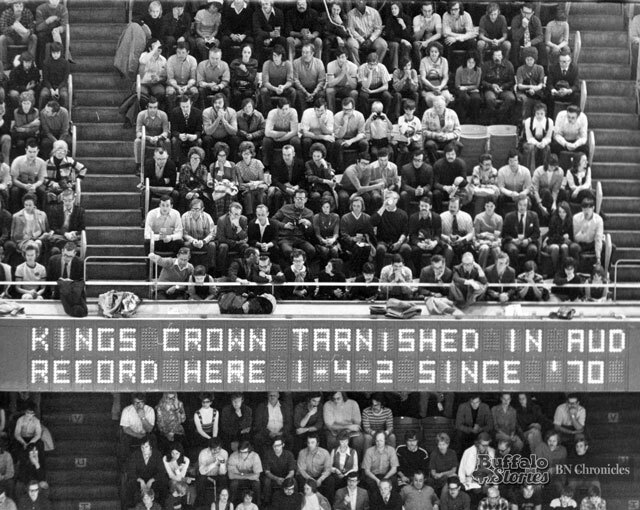 The plastic-backed orange seats date to the 1971 expansion of The Aud, when the roof was raised to make room for the upper level. The wooden blue seats—which before the expansion were gray—dated back to the original construction of Memorial Auditorium in 1940. Memorial Auditorium was slowly dismantled in 2009, and the site is now covered with canals replicating the original Erie Canal. The canals are open for paddle boats in warmer weather, and ice skating when frozen. A marker in the canal points to where The Aud’s center ice faceoff dot once was.